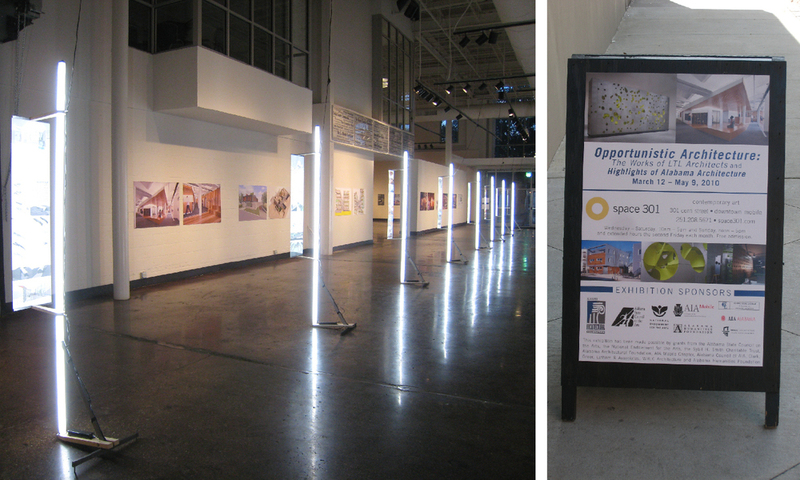 Light Structures was designed as a deployable armature for exhibiting a selection of projects by LTL. 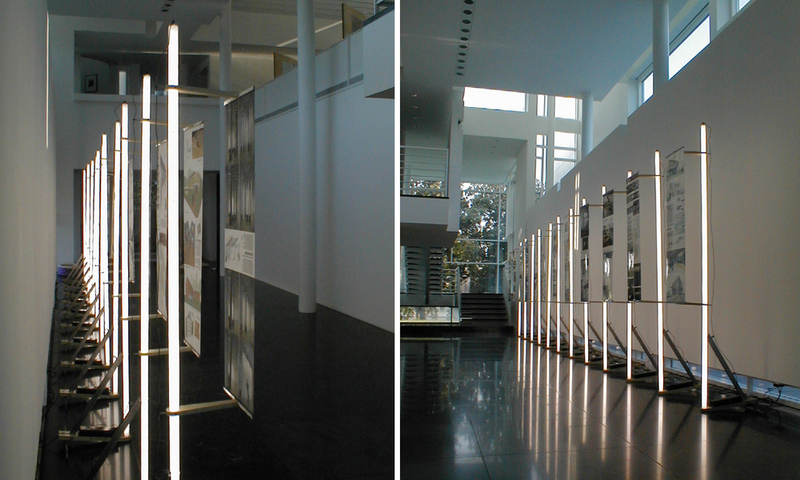 The intention was to produce a self-contained set of units and parts which could be adapted to multiple conditions. 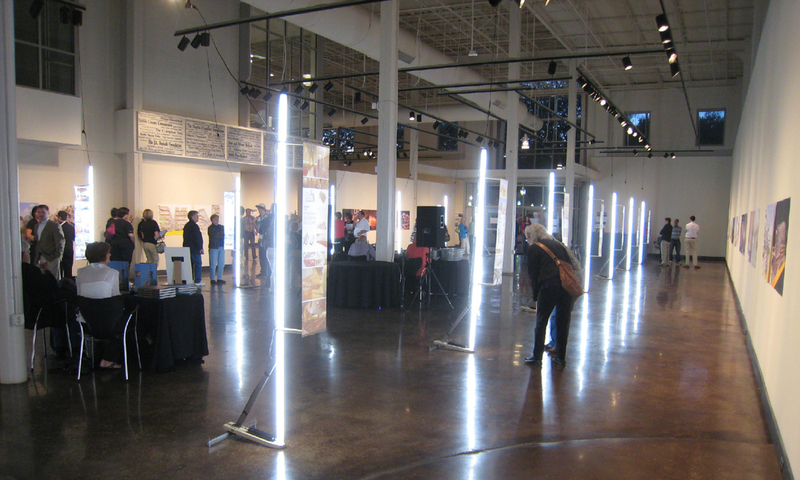 Acknowledging the varying quality of gallery lighting at different venues, utilizes fluorescent tubes in order to eliminate the unpredictable lighting conditions in remote locations. 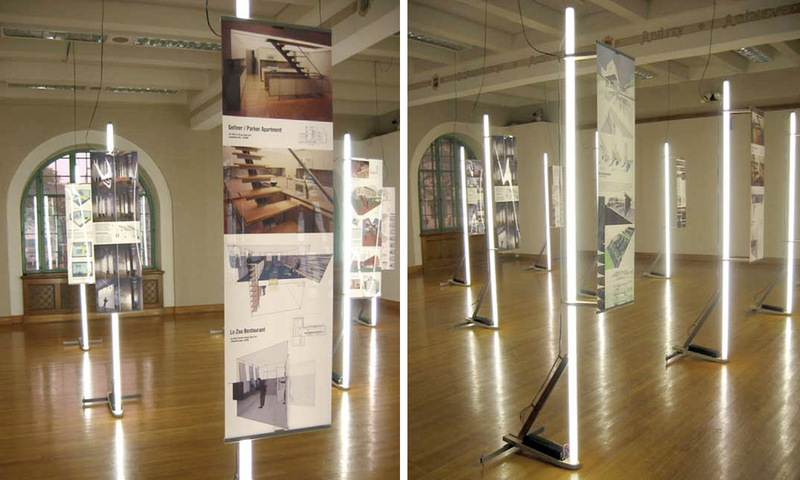 Each fluorescent tube serves as the primary structural element and illumination source for the backlit acrylic panels that illustrate each project. In the eight foot high version, the electronic ballast doubles as the weight at the base.